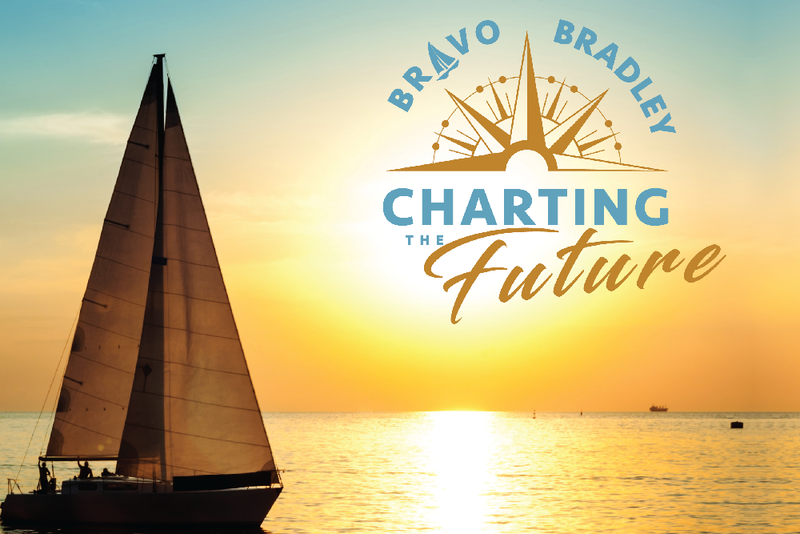 More than 400 guests came out to Rhodes on the Pawtuxet on Friday, June 1 in support of Bradley Hospital’s 2018 Bravo Bradley gala, Charting the Future. 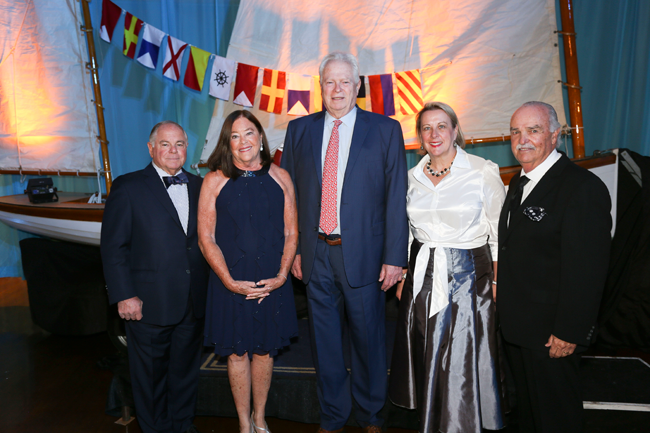 Chaired by Betty and Joe Brito of Bristol, the signature event raised a record $883,975 to advance the pioneering pediatric mental health care, education, and research of New England’s only psychiatric hospital devoted to children. 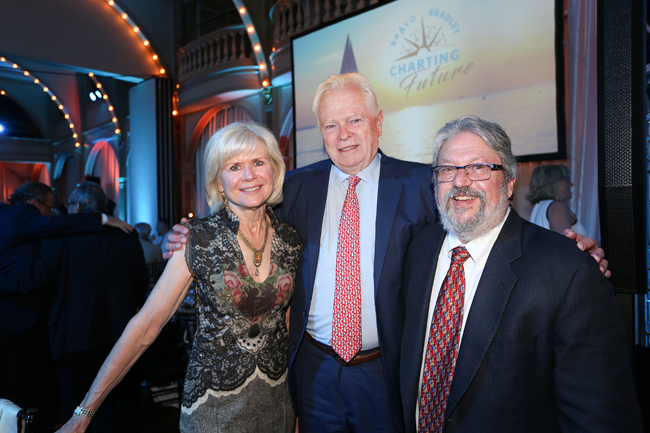 Left to right: Joe Brito and his wife, Betty, co-chairs of Charting the Future; Daniel J. Wall, President of Bradley Hospital; Margaret M. Van Bree, MHA, DrPH, President of Rhode Island Hospital and Hasbro Children’s Hospital; and Lawrence B. Sadwin, Chair of the Bradley Hospital Foundation Board of Trustees. 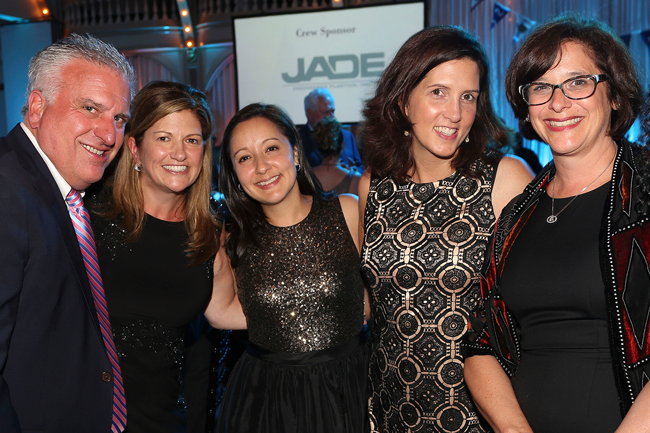 Representing Bradley Hospital’s largest annual fundraiser, this year’s Bravo Bradley gala raised a record $883,975. Of the total raised, the event’s fund-a-need generated $258,000 to support enhancements to Bradley’s Compass Program, a community-based residential treatment program for girls ages 13 to 18 who are struggling with mental illness and ways to stay safe. Left to right: David and Brenda Turchetta; Kerri Kim, PhD, Clinical Psychologist, Bradley Hospital; Amanda Pelletier, LICSW, Clinical Director of Bradley Hospital’s Compass Program; and Karyn Horowitz, MD, Director of Outpatient Child Psychiatry and Behavioral Health Services for Lifespan. As guests arrived at the historic venue abutting Rhode Island’s largest river, they posed for souvenir photos alongside a replica 1889 Herreshoff wooden sailboat before enjoying the event’s opening cocktail reception. The boat was on loan to Bradley for the evening courtesy of the Herreshoff Marine Museum of Bristol. After being welcomed into the ballroom with remarks from hospital leadership, guests were introduced to Jessica O’Connor, the 2018 USA Ambassador Miss Rhode Island Teen and a Bradley patient, who sang a moving rendition of The Dark by Beth Crowley. Shortly after, guests watched the gala’s emotional video, which captured the traumatic stories of four young girls receiving treatment at Bradley’s Compass Program and how the program is teaching them the skills they need to have a “life worth living.” At the conclusion of the video, Jessica returned to the podium to share her personal experience with Bradley Hospital before welcoming celebrity auctioneer Paul Zekos of The Zekos Group to present the live auction and fund-a-need. 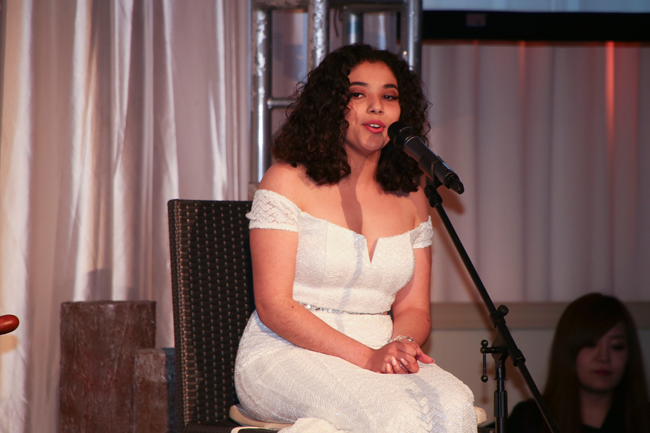 Jessica O’Connor, the 2018 USA Ambassador Miss Rhode Island Teen and a Bradley Hospital patient, sings a moving rendition of The Dark by Beth Crowley at the hospital’s Charting the Future gala. 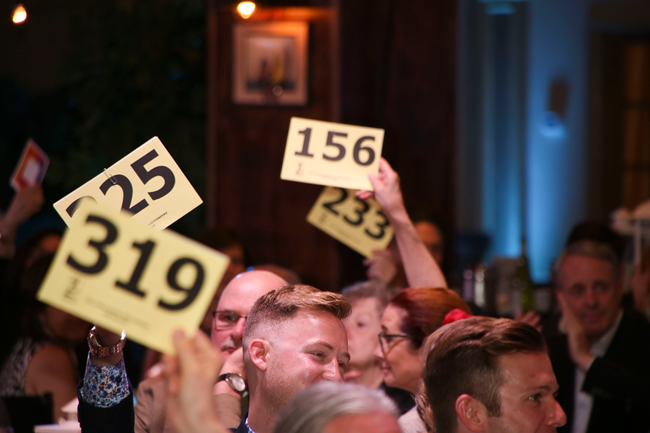 Among the auction’s many exciting items, spirited bidding surrounded each package, with two experiences generating friendly competition among guests. A farm-to-table dinner for ten prepared by Chef Ben Lloyd of The Salted Slate in the comfort of the winning bidder’s home sold for $15,000, while a package of four, third row center orchestra tickets to the Broadway sensation Hamilton in New York City with hotel and dinner accommodations in the heart of Times Square sold for $16,875. In returning to the stage to announce the event’s fundraising total, event chairs Betty and Joe Brito put forth an unexpected philanthropic challenge, offering to match any additional donations dollar-for-dollar. The couple’ generosity spurred another $40,000 in gifts, which the Britos leveraged into $80,000 for Bradley. In support of enhancing Bradley’s Compass Program for teenage girls, guests at Charting the Future raised their bid cards high and often during the fund-a-need, coming together to raise $258,000. “When families don’t know where to turn, when their children are gripped by the stronghold of mental illness – or worse – Bradley is there to help,” said Joe. “Bradley Hospital is charting the future for our children and with all of us by their side, the sky is truly the limit,” added Betty. 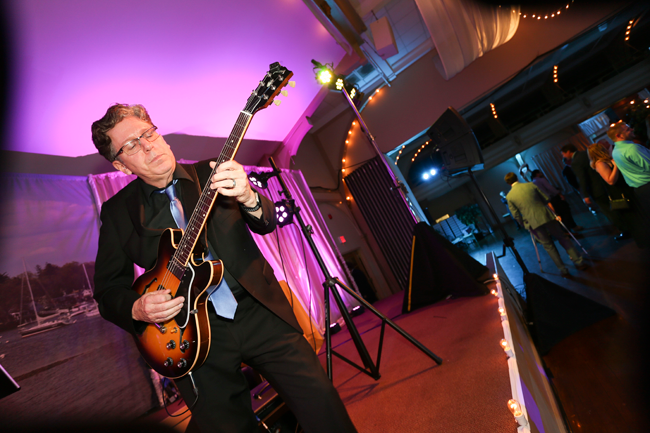 After the evening’s program concluded, guests danced to the sounds of Night Rhythm Band. Following the evening program and dinner, guests at Charting the Future gala danced to the sounds of Night Rhythm Band. Bradley Hospital extends its gratitude and appreciation to Charting the Future commander sponsors, Betty and Joe Brito, and Susan and David Brown; leadership donor, Amica Companies Foundation; helmsman sponsors Carol A. Peterson, and Ocean State Job Lot Charitable Foundation, and the more than three dozen sponsors and supporters whose generosity made the event possible. Left to right: Claire Perlman; Daniel J. Wall, President of Bradley Hospital; and Marc Perlman, CEO, Ocean State Job Lot. 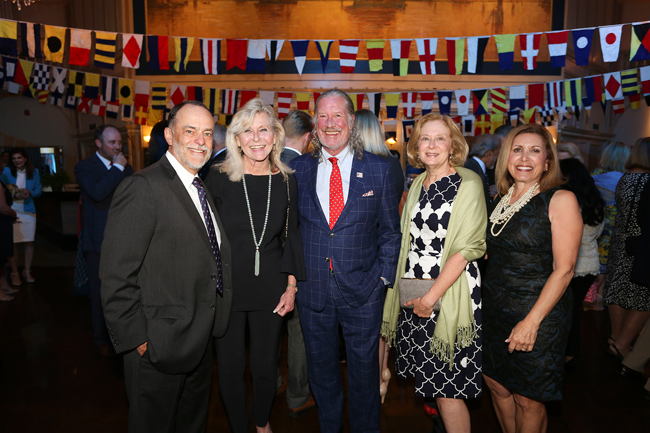 Left to right: Charles Riotto, DMD; Joan Abrams; John Hazen White; Liz White; and Mary Beth Riotto. For more information, please contact Loren Wren at 401-432-1201 or lwren@lifespan.org.